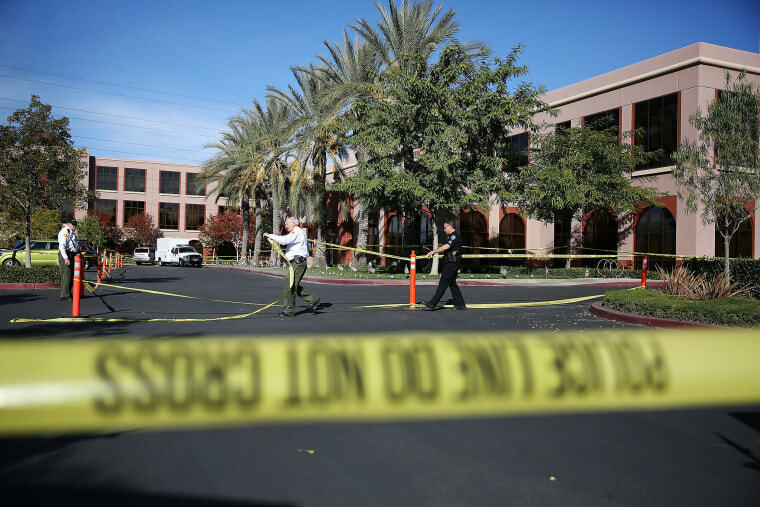 The Inland Regional Center, the scene of the San Bernardino, California, terrorist attack, is taking its first step to normality by allowing some employees back into two buildings next month, the center said Wednesday. Buildings one and two on the IRC's campus will be reoccupied Jan. 4, the center said in a statement. The shootings, which killed 14 people, occurred in Building Three, which is to remain closed indefinitely. Related: What Is the Inland Regional Center? "The outpouring of support has been tremendous," said Lavinia Johnson, executive director of the center, a state-run facility for people with developmental disabilities. "As our community continues to grieve, we're moving ahead to ensure that our more than 30,000 consumers receive needed services and support during the holidays," Johnson said. The news came on the same day FBI Director James Comey revealed that the killers, Syed Farook and Tashfeen Malik, did not post messages about the attack on Facebook but instead sent private direct messages among themselves. Farook and Malik were killed in a police chase and shootout a few hours after the attack. The IRC remained open but unoccupied as workers from the facility have been working remotely by using 350 iPads to gain access to vital records and information, the release said.